Dedicated with a passion for bringing your design vision into the real world. Quality is our top priority with every single installation project. In our approach to fair pricing balanced with top quality products and services. It is our vision to provide homeowners with local custom swimming pool installers in all of the southern US. Providing consumers professionally trained independently owned & managed locations throughout the state of Texas, Louisiana, New Mexico, Oklahoma and beyond. 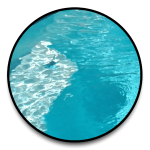 We seek to help homeowners from the Big State and all around the world understand the values and health benefits of owning an inground swimming pool or spa. To provide the highest level of quality at an affordable price while empowering pool & spa end-users to fully understand and embrace the lifestyle and responsibilities of swimming pool ownership. We install custom in-ground swimming pools at affordable prices with several starting packages to choose from, plus create your own customized version, all start from $37,500.00. Our starting packages include both a Basic Pool Model & Upgrade Pool Model which either packages could include an attached hot tub. 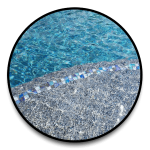 Our swimming pool pricing models will help determine the total scope of pool design and keep quality as the top priority while making your pool reasonably affordable. Considering everything that can go into a backyard, sometimes our dreams are much bigger than our actual budgets. 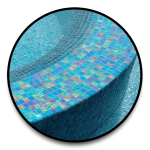 It has been our mission to provide our clients with much more reasonable pool construction prices than the other guys. From maintenance questions to upgrades we are here to answer your questions before attempting to sell you on anything. Be sure to check out our blog and FAQs section to keep up with the pool lifestyle, tips, and fun in the sun! 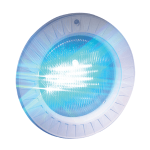 Through our authorized and certified relationships with manufactures and installers we provide the maximum warranty value. We work along side in-demand & skilled small businesses and subcontractors everyday to help us create these wonderful backyard projects. If a vendor is working for us, then you know they are legal, provide top level service & quality, and have a solid warranty support system. 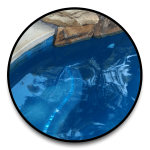 None of the over-priced or hidden cost tactics here, our custom pools come with great materials right away! 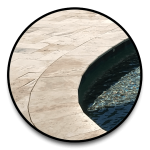 Using only the best materials for pool tile, coping, and interior finishes! Included right at the start you get more options, allowing you more design flexibility. We provide only high quality materials that are specifically rated for swimming pools. Tough long lasting surfaces that look and feel great. You will be presented with multiple selections to sample from and we guarantee you will find the blends of color that suite your style best. Performance pool interiors look stunning in any light, and last a long time. 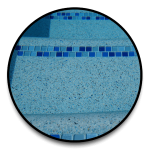 There are many benefits to having a premium pool finish, one major benefit is the durability. 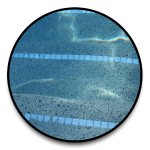 We do not install “industry standard white pool plaster”, even our lowest cost pool interiors feature Wet-Edge Altima pool interiors that look better and last longer than the industry standard; not to mention starts off with a 7 year warranty. True to our values, we only install the industry best swimming pool equipment and accessories. 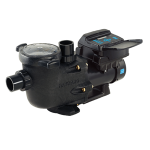 Our pool systems feature equipment pads packed with advanced functionality to give you a better experience and help you care for your pool all at the same time; all in one system. 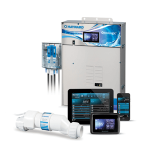 As an authorized Hayward Builder, we have access to the latest advancements in swimming pool automation & control. New features such as WIFI remotes, Touch Screen Interfaces, and Automated system settings do come standard on select pool packages. 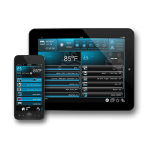 With so many options available it is easy to match up your pool design and budget with the right control system & accessories. When you call on us, we take a no-pressure approach to the purchasing process, placing more focus on your benefits as a new pool owner. 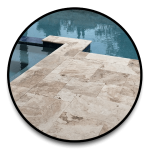 We understand that a pool is not a decision to make overnight and if you are in the planning stages then you can simply create a custom pool design features list on our website, and contact us when you are ready!